In his query requesting review of the book, Mathias Freese said: 'This Möbius Strip of Ifs', is a new book of essays and memoirs written over four decades, a kind of Bilsdungroman of my psychological life as a writer, psychotherapist, spiritual seeker, and teacher. I am glad he explained, else given the use of the word Mobius, I would have at first glance thought whether the book covered the intricacies of mathematics. After having read the book, I couldn't agree more with the title. PART 1 OF MY BOOK REVIEW. Somerset Maugham is one of my favourite authors. And one of his quotes which remains stuck in my head is: “The only important thing in a book is the meaning that it has for you”. 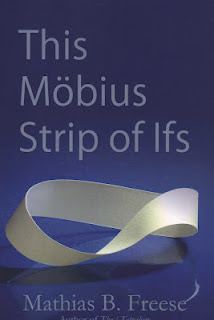 On a first read of: This Mobius Strip of Ifs, by Mathias B Freese, the book seemed to have little if not, no meaning. It came across a pure rant by the author. A rant against the education system which churns out robots with no mind of their own who march into society to be a success (in material terms); a rant against a mother-daughter duo who while they did not overtly flaunt their wealth were the top bidders at an auction (the auction was to sell the assets of a rich couple who were divorcing each other) -- the author disliked the gluttony he witness as the economy especially in these parts (Nevada) was down in the dumps; a rant against bloggers turned book critics; a rant against an overbearing mother; a rant against an unethical therapist; a rant against his ex wife (this relationship had ended in a divorce)… The underlying current of the book was: I do not care what you think of my book – I’ve written it only for myself! This in fact was stated by the author in the chapter titled: A spousal interview (yes, his wife did interview him and even wrote a beautiful foreword). The unheard scream or screams resonated not only in the chapters which dealt with the failure of the education systems , one of the chapters ended with the use of this term, but the unheard scream resounded through-out the book, was quite high pitched at times and was quite painful to hear. Jane Freese, his wife explains in the Foreword, the meaning of this part of the prayer is to except a gret deal from oneself and nothing for the world. Then should a blogger whom he doesn’t even know in person, cause enough turmoil to make him unleash his vast vocabulary of words describing the incident and the pain? Thus, quite a few such narrations in the book, which seemed contradictory to each other, puzzled me. In a book, which is all about him the author and his journey, his pains, his tribulations and his opinions (I wish he had also captured his joys), the distinction between the book and the author is bound to get blurred. I agree that his mother could have been overbearing and perhaps this experience dates back to an era where parents were not friends and there was no open communication. Yet, surely there were some joyous moments that he remembers? Or does he prefer to live in the dark gloom of despair and knowingly or unknowingly pull his readers into the same vacuum? A first reading of the book gave me the impression that it was just one big rant. Yet, at a sub-conscious level, I knew the book was also trying to tell me something, I need to connect the various threads and see the real design as it was meant to be seen. There are questions which I have asked, which the author has also asked. I wish to ‘see’, to be ‘self-aware’, I don’t believe in herd mentality. Even through the din of the ranting and raving, these questions were captured in the book and opinions were expressed. So I went back, to read it again. I realised, who am I to judge people (in this case the author and his book). We as human beings are complex. We are made of layers and layers. Peel the first layer and then there is the second, and then the third.. We can continue peeling without finding the core. Our core? Sometimes we are not even aware of it ourselves. But, it was essential, at least for me, to try and peel a few layers of the pages of this book. 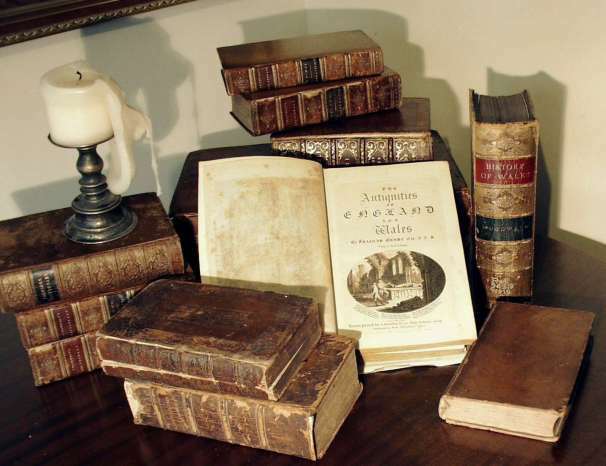 To understand, to find out what meaning the book held for me. And I was truly touched by one sentence in his review of his own book: As the child he is at times, he is saddened at being misunderstood — aren’t we all? So, in the next few paragraphs I will deal with what the pages of this book meant for me, when I read it again for a second time. When I first read about the author’s rants against the education system, I felt angry, confused and betrayed that he had not tried to change the system. I even shot an email to the author, expressing my opinion. He mentions in the book: “I retrained as a shrink, because I didn’t want to come to my death being only a teacher, not what it is in this culture”. Then, I realised that the author was no quitter. He had put in several long years trying to change the system. He was against the monotonous recitation of the pledge, yet wanted his students to understand what true patriotism truly is. 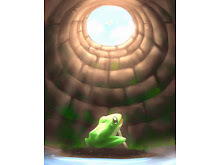 What comes across on a first read is that he was happy to escape. A second read was really warranted to peel away the first layer of the book. He wanted to make kids see, perhaps he just had an unorthodox way of doing that, ruffling many along the way. At least one student wrote to him, calling him a breath of fresh air. Perhaps he had the same impact on others. I wish his experience as a teacher had not been that traumatic. I recall the story narrated to me when I was a school kid, of a boy at the beach, who kept picking star fishes that had landed on the sandy shore. He collected them and threw them back in the sea. People told him, his efforts were futile. However, picking up yet another star fish and throwing it back into the sea, he smiled and said: It made a difference to that one. So yes, his teaching experience could have made a difference to many. Post the few chapters of his struggle as a teacher, the author describes his experience as a therapist. Ironically, the unethical therapist for whom he penned many a paper as he could not afford her fees, for which she got good scores made him realise that he too could do post graduate work in a doctoral program in psychology. Not the very best reasons, was my first impression, for turning to another career. It did show a lack of passion in pursuing another field, probably the passion within had died in the monotonous gloom of the education system. Announcement: The book is the winner of the National Indie Excellence Awards in the Non fiction category. Congratulations, Matt. 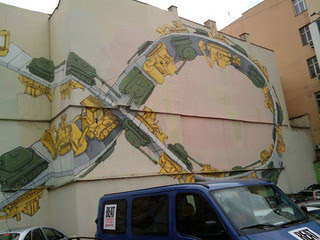 Source of the photograph:Downloaded from Flickr and used as per the terms of the Creative Commons License. Most impressive in that you have gone way beyond any writer's expectation of a review. That there is to be a part 1 and 2 is like waiting for a serial at the movies. Everybody gets something different from this book; it is like a Rorschach test, composed of our projections. I mention that about my mother in the book, as I associate to it. However, I will clarify in your questions which I hope are as sharp as the Razor's Edge. Is it so that the quotation by Maugham comes from the Razor's Edge? I think I read it there and stopped, for I agreed. Let me be clear about just a few things: I spent 32 years in the school system and that is enough for anyone, except for those who have the dullest minds and are perfunctory bureaucrats; recall that I ran an alternative high school and went about teaching differently. Secondly, to become a therapist came out of my own treatment, my own readings of Freud and not as a simple thing that I could do what my shrink was doing. It was a consequence of my inner emergence, realizing that teaching could not ever make up for what I need to do -- which is to grow and become aware! Psychotherapy kept me growing; teaching as I knew it kept many people stagnant. I am a difficult person to nail down -- I sweetly say to you, stop trying. We are all too complex and sometimes too wonderful to catch in a net. Go with my flow and remember, and although I rant, sometimes a rant is not a rant. Your efforts and struggle are very appreciated by me. n.b. the last part of the book goes into memoirs, et al and if you observe carefully, which you do, it folds back upon itself like a mobius strip and comments on all that comes before. Your greatest insight is to see the unheard scream -- however, we each have that, don't you think? Clarification: Matt, the author wanted me to italicize Razors Edge in his reply. I tried, but could not do so. I think blogger permits change in fonts only in the main post, not the replies. Hence the comments were deleted twice and then reposted. Interesting Lubna. Personally read a lot and honestly will not read the book you just re-wiewed. It's easy to complain, but much more difficult to do something constructive to change whatever the complaint is about. Education in all countries are considered to be faulty, to put it mildly. And the root of the problem are the authorities in countries all over the world. And bureaucrats don't change over night. Maybe it would be a good idea for the author to start lobbying interest groups to make them put pressure on the authorities? That way maybe he will achive something? @Catarina and Susan: The second and third part of the book are quite different and deal with other issues. The third part reflects the sensitive nature of the author. So stay tuned for Part 2 of the review. The author is well into his 70s and I can understand that at that point of time when he was in the education stream bureaucracy in the education system may have been much worse. I too was initially angry and confused, but realised we humans beings are so complex, that it is best not to judge. Susan: I know you have been a teacher. Perhaps in your blog you should share some of your experiences. Hi Lubna- you did an amazing job in doing such an in depth review of what is clearly a difficult book. And you read it twice! Talk about tenacity. I have to agree with Susan & Catarina though , I wouldn't read this book. When authors become do wrapped up in their own opinions and as you say it is a rant then they immediately become an unreliable narrator. This applies to both fiction & non fiction. My favourite part of your post was the quote by Somerset Maugham - perfect I'm a big believer in the reader 'completing' the work so I was v. glad to find this quote which I was unfamiliar with.